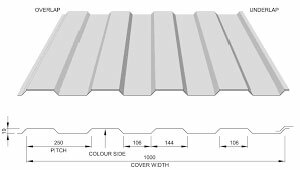 Insulated composite panels sheets combine a liner Internal sheet and an external weather sheet with a central insulating core. These can be installed both Vertically or Horizontally. This installation starts with a bottom liner sheet. 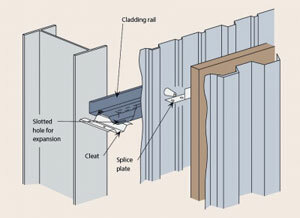 A spacer is attached to the sheet to create a cavity for the insulation and finished by installing an external top sheet. Single sheet attached directly to Structure.